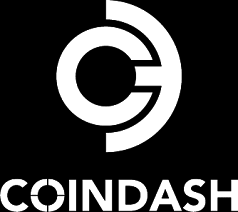 CoinDash was scheduled to begin its much hyped ICO today. This author had been in the process of reviewing it for CCN’s sister site, Hacked, when we learned that there was a hack. Thus, we can’t properly review the ICO as of yet. Nevertheless, some people did send Ether to the wrong address. It is unfortunate for us to announce that we have suffered a hacking attack during our Token Sale event. During the attack $7 Million were stolen by a currently unknown perpetrator. The CoinDash Token Sale secured $6.4 Million from our early contributors and whitelist participants and we are grateful for your support and contribution. […] The CoinDash vision, product and team will continue to live on. We will be fast to recover and we will create the future of trading. […] Reminder: We are still under attack. Please do not send any ETH to any address, as the Token Sale has been terminated. More and more ICOs have experienced scams and attacks as people have realized that newcomers to crypto may soon be parted with any amount of Ethereum. People have sent to the wrong address in association with several ICOs, and although the start-ups behind the ICOs are not responsible themselves, others may hold them so. This is the nature of business in the cryptocurrency space. Then, even worse, there are some ICOs which are actually scams in and of themselves, like the recent Eros.vision, which promised to make prostitution impossible for the feds to stop – and also promised to make a “pimp” out of every token holder, both provider and buyer. Which is ridiculous, but is how the law would have interpreted it for the token holders. Such a platform may be useful in jurisdictions where prostitution is already legal, but given that the two who launched it said they were in Silicon Valley, it seems more likely a scam than anything else. The nature of the quick funding of ICOs has no doubt been attractive to scammers, seeing it as an opportunity garner quick, lucrative sums out of unwitting, would-be investors. One tactic that is adopted is hijacking e-mail addresses and then telling people that if they want in on an early sale, they should send coin to this address. It later turns out it’s not official at all, and in most cases, it has been successful. This is among other methods – in the case of CoinDash, today, their entire site was hacked. Hopefully, the community will do better about policing itself moving forward.